Pocket knives There are 24 products. 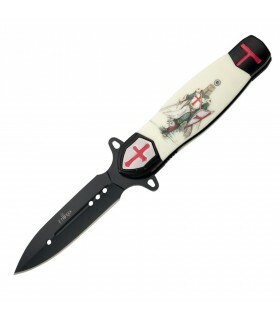 Templar shield knife, blade 7.6 cms. 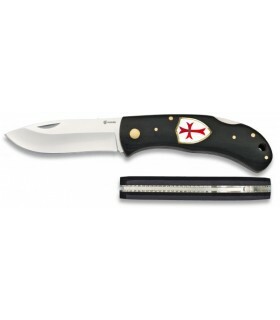 Knife with the shield Templar on the handle. The blade is made of stainless steel and wooden handle. 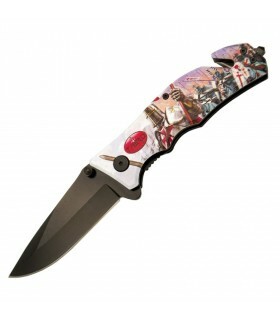 Razor type stiletto with shield and seal of the Knights Templar. The blade is made of stainless steel and red wood handle. 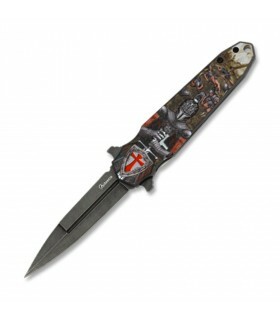 Templaria razor blade cross with stainless steel handle and aluminum decorated with the cross of the templars. It includes presentation box. 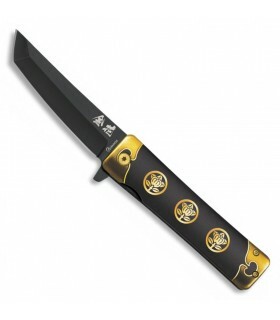 Dragon head penknife with assisted opening system. Stainless steel blade and aluminum handle. 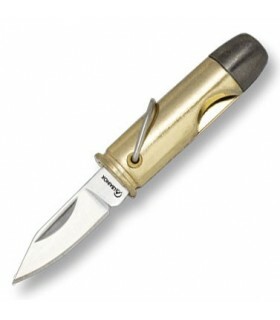 Small sharp knife with the shape of a Bullet. The blade is made of stainless steel. and the handle of zamak. Knife with the seal of the Templars in the handle. 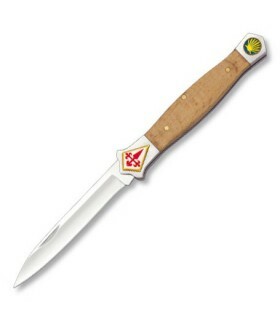 The blade is made of stainless steel and wooden handle. 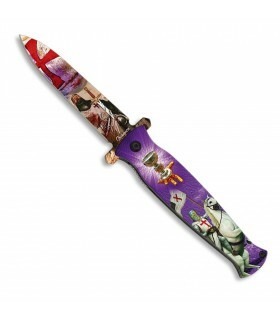 Razor type stiletto with the arms of the Cross of Santiago on the handle. 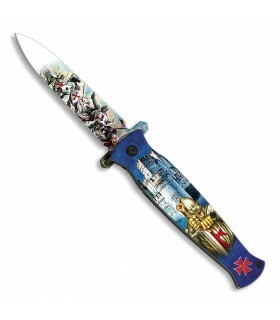 The blade is made of stainless steel and wooden handle. 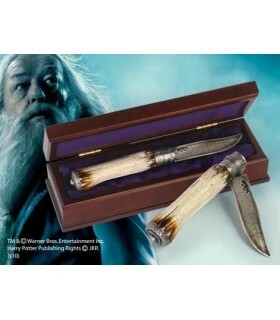 official replica of Dumbledore knife used to open the cave entrance in the film Harry Potter and the Half Blood Prince. It is sold with collector box. The open knife measures 24 cms. and measures 12.4 cms closed. 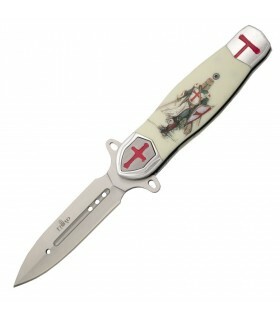 Rescue knife design 3D Knights Templar. 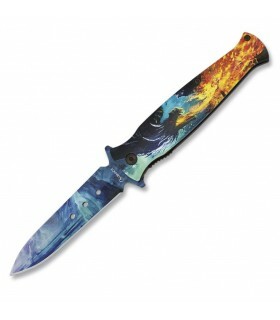 Blade in 420 stained stainless steel and aluminum handle. Includes break-glass tip and short-belt cutter. 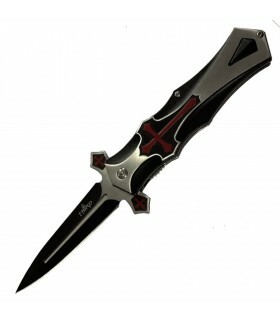 Rescue knife 3D design Templars. Blade in 420 stained stainless steel and aluminum handle. Includes break-glass tip and short-belt cutter. Rescue knife design 3D Crossed. Blade in 420 stained stainless steel and aluminum handle. Includes break-glass tip and short-belt cutter. Navaja calaveras with stainless steel blade and steel handle decorated with skulls. It includes the Fast Opening System of assisted opening as well as belt clip and color box. 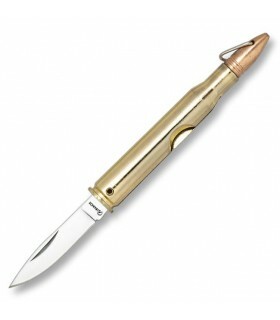 Knife medium with the shape of a Bullet. The blade is made of stainless steel. and the handle of zamak. Pocket knife with 3D print of a Samurai Warrior. The blade is stainless steel and has the system of fast opening. 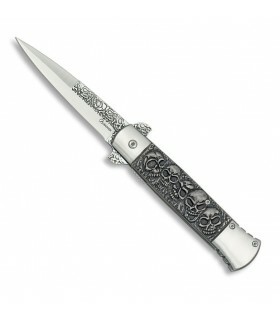 The handle of this knife is aluminum with an embossed design. 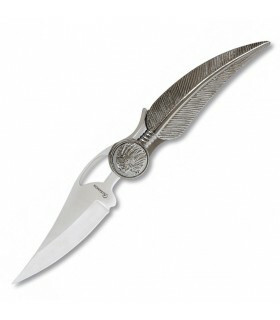 Pocket knife templar (opening fast opening fast) with 3D printing in relief. The blade is stainless steel and the handle of aluminum. Includes clip.